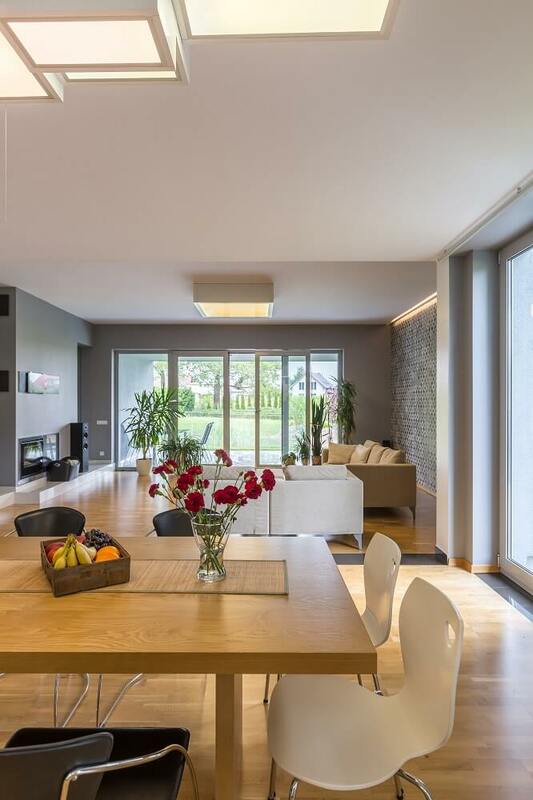 In this blog post, we take a look at some of the most efficient ways to design an open-plan space. We’ll teach you how to zone areas, put doors, maximise space for storage, and more. Check them out below! You will enjoy an open-plan room better with views. If your space is L-shaped, consider having (at least) one right-angled wall that’s made entirely of glass. The floor-to-ceiling window in this kitchen and dining space provided a breathtaking outdoor view. However, this layout makes it difficult to decide where to put the main door to the deck or garden. In this room, the designers positioned the door in the kitchen. That makes the kitchen the central area leading to either indoor or dining areas. 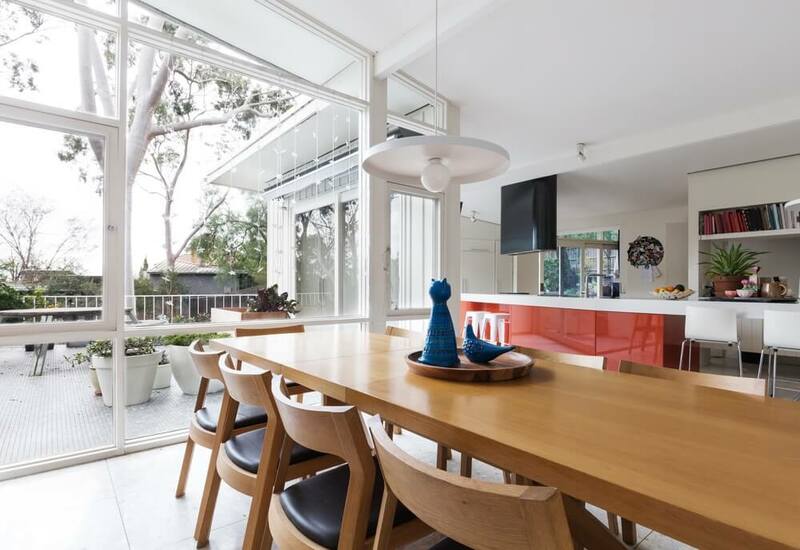 The two dining areas still connect with each other but through the huge glass wall. Integrating the kitchen and living areas makes your home sociable, but the noise and activities from the other areas can draw you away. For instance, the volume of the TV or the chatter of people from the living room can disturb you while working in the kitchen. Even the sight of dirty dishes can be unsettling when you’re finally resting on the couch. Start with removing the TV on your view from the kitchen. Orient your range towards the direction where you can’t see the living area. Not being able to see the living area from the kitchen will separate the two. 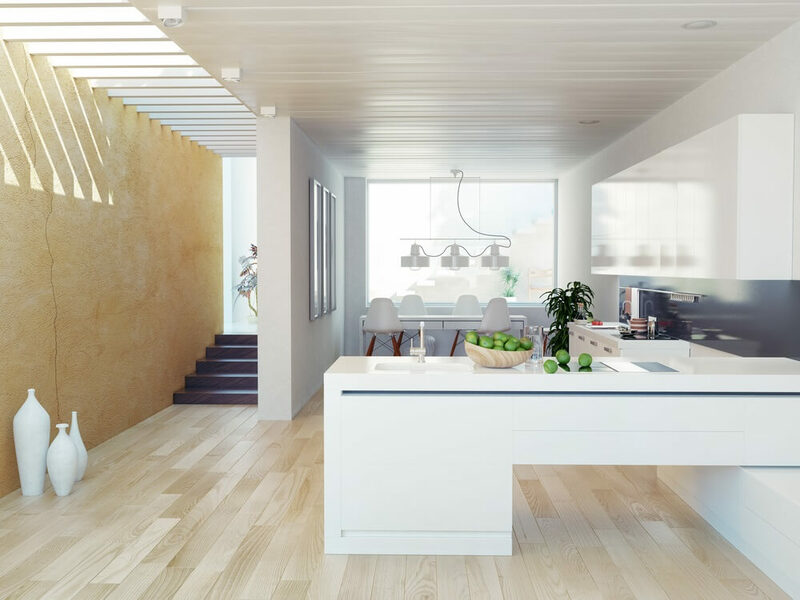 Accessibility is a priority when designing an open-plan space. Mind how you will move in, out, and around the room. To prevent unwanted accidents, the route to the garden must not pass through the working area of the kitchen. Define the route using the pieces of furniture in the house. Utilise the kitchen island to separate the cooking zone from the walkway. Arrange the huge items such as the dining table and the sofa to form an unobstructed walkway to the door. 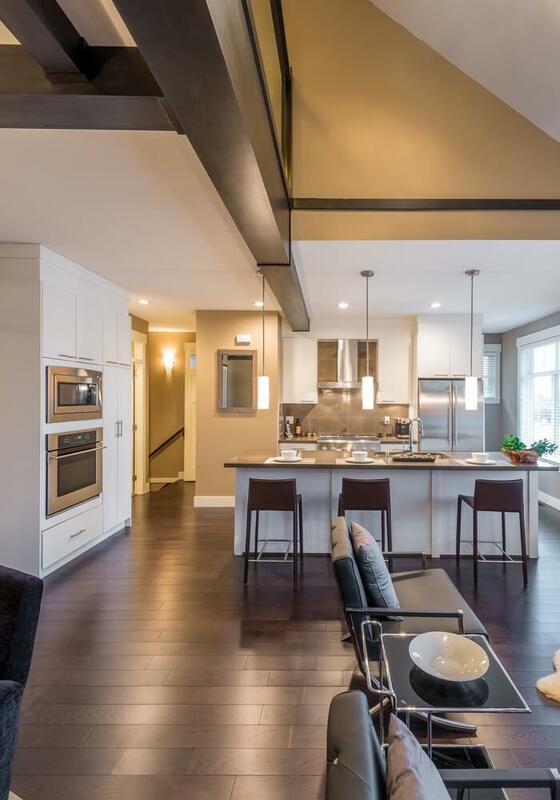 Here, the shorter leg of an L-shaped island separates the kitchen from the attached living area. Instead of building a solid wall, the designers put up something more useful and space efficient. The dividing island serves as storage and a breakfast bar. This is the opposite of the hack we previously introduced to you. In this design, your aim is to create a more sociable space. You face your kitchen towards the living area to avoid feeling disconnected. Station the range or the sink in the island so you can still interact with other people in the room while working in the kitchen. This is the easiest way to separate two areas in an open-plan room. 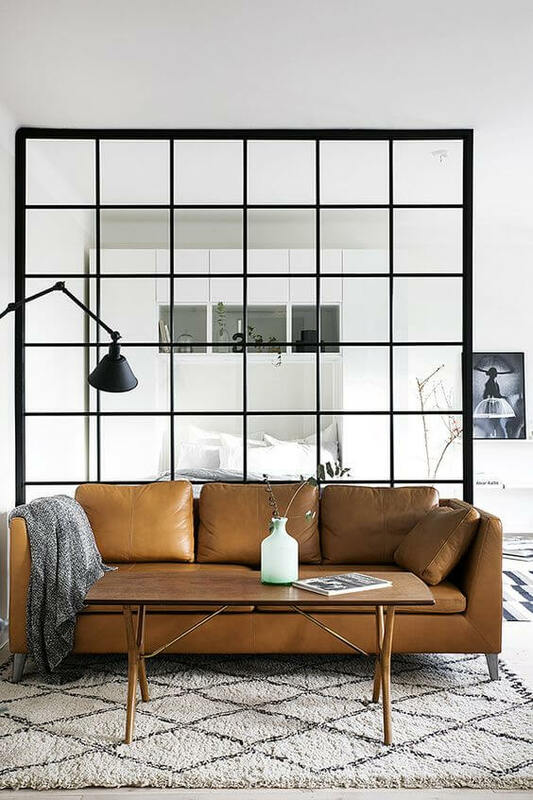 Check out this minimalist window wall divider which defines the living area from the bedroom. The glass keeps the room open and airy. Consider the height of your room before pursuing a floor-to-ceiling divider. A low ceiling needs a divider with a design that seems to push the ceiling upward. Plan your open-plan space properly to maximise what you have. Customise so you can utilize areas that aren’t used that much.